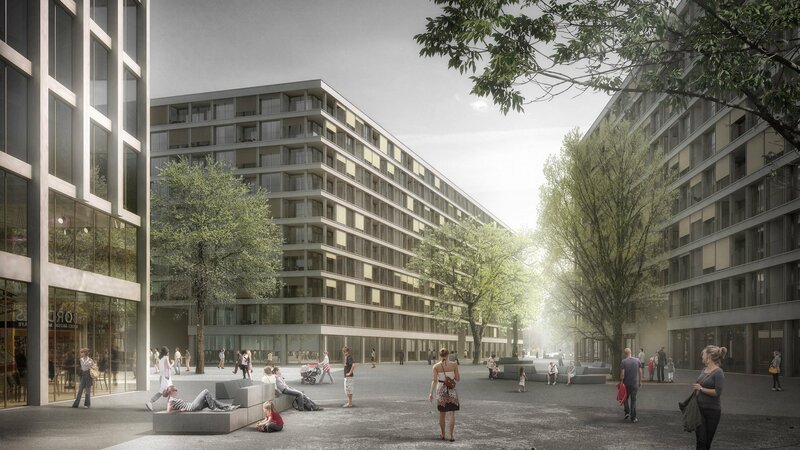 To subscribe to the planned urban mutation of the expanding PAV area, the development project of the former Vernets Swiss army base needs to have an appropriate scale so as to match the new domestic use of this part of the city and to harmonize with the architecture of the larger buildings around. 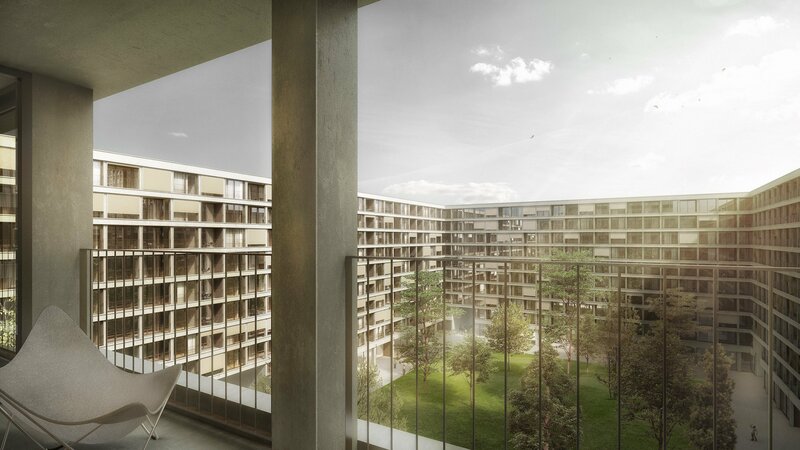 With its dimensions and organization, this future housing estate fits into the heritage of Geneva large rental-housing properties. 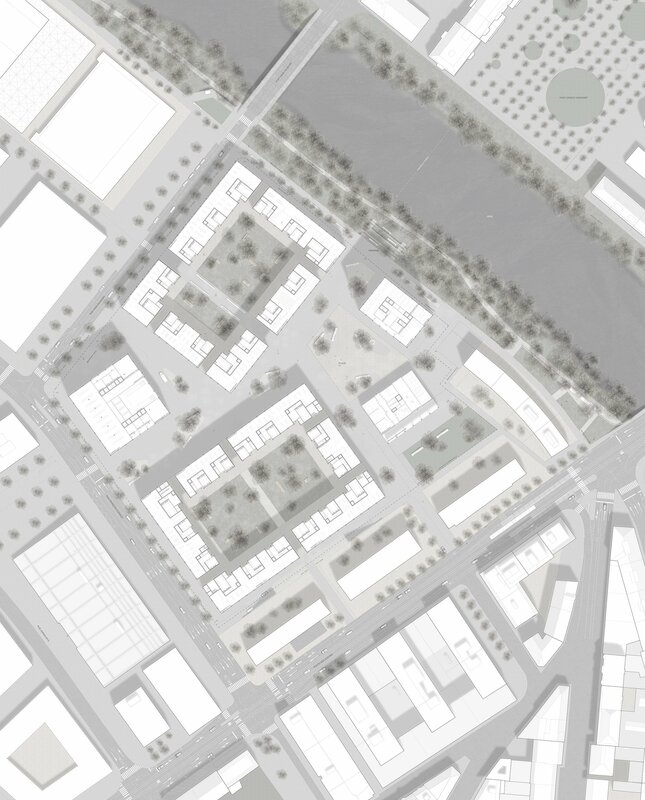 The general organization of the site is primarily determined by the situation of two large residential blocks oriented according to the main structuring elements of the surroundings : the Arve river on the one hand, the Accacias road on the other. On the side of the François-Dussaud – Hans-Wilsdorf intersection, the complex is completed by a commercial building (for secondary and tertiary activities) and by a high residential building on the side of the Arve, where the shading resulting of such high constructions does not cause problems. A school should take place in the remaining space between the existing buildings and the new constructions. 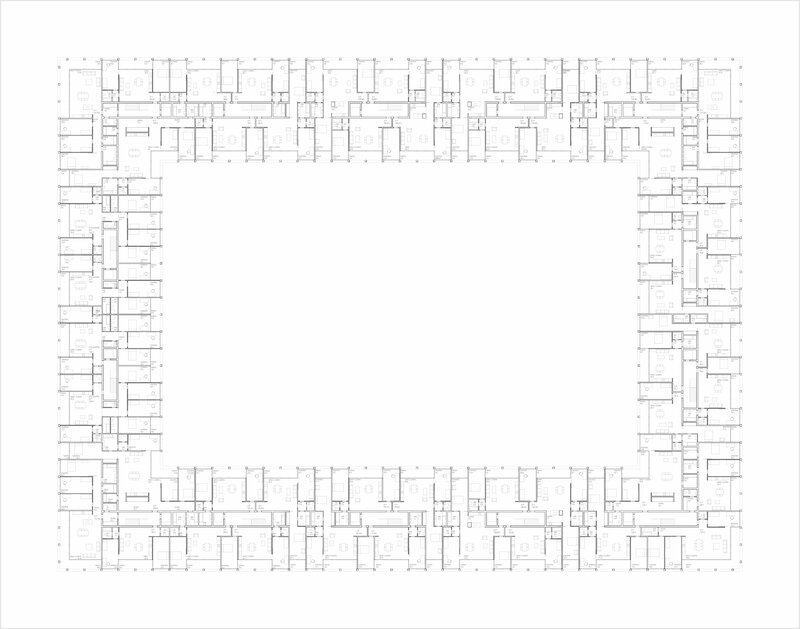 With a reduced number of elements, the urban framework of the site is laid down. It results in a clear plan of the streets and a wide central public space going through the site, previously closed because of its military use. 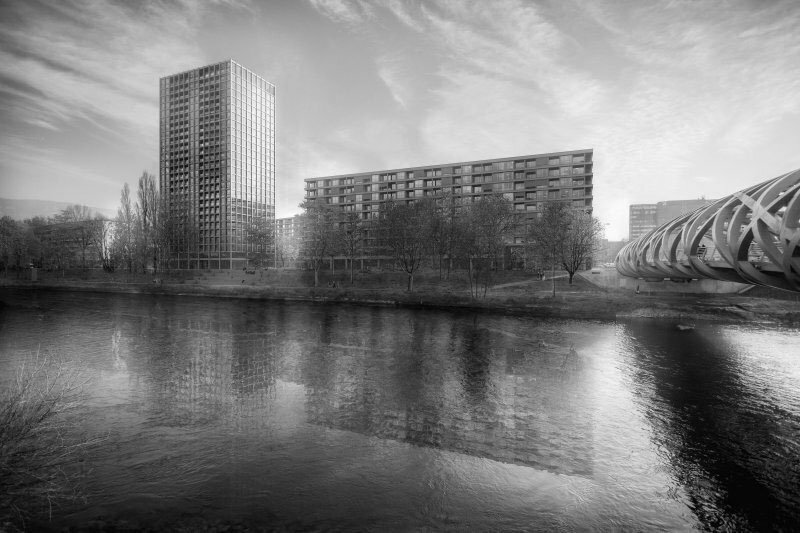 This new circulation space creates a link between the banks of the river Arve and the planned property development, including the future school, beyond the François-Dussaud street.